The Lincoln group of national networking organisation, 4Networking celebrated its first birthday on Wednesday 19th September, with a great turnout of businesses from across the region, at their stunning new venue, Doddington Hall. 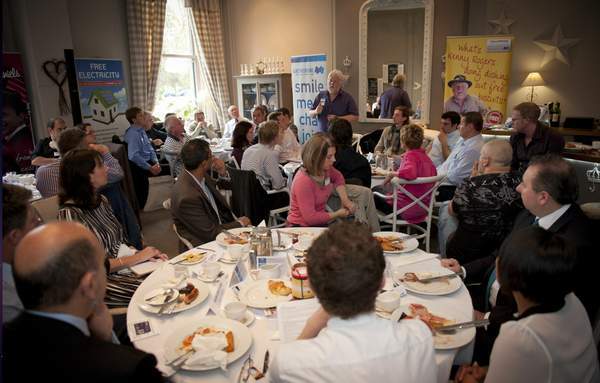 Over twenty businesses attended the celebratory business breakfast group which meets every fortnight at Doddington Hall. Lincoln is brimming with businesses from retail through to professional services, and with the economy still being fairly unstable, it is encouraging to know how effective organisations are networking between themselves and retaining the volume of work for the region. “We have high aspirations for Lincoln 4N, especially now we have the new wonderful venue of Doddington Hall, and we’re looking to attract more businesses from within the region, connecting people and doing business in a social yet business environment,” continues Suzy.